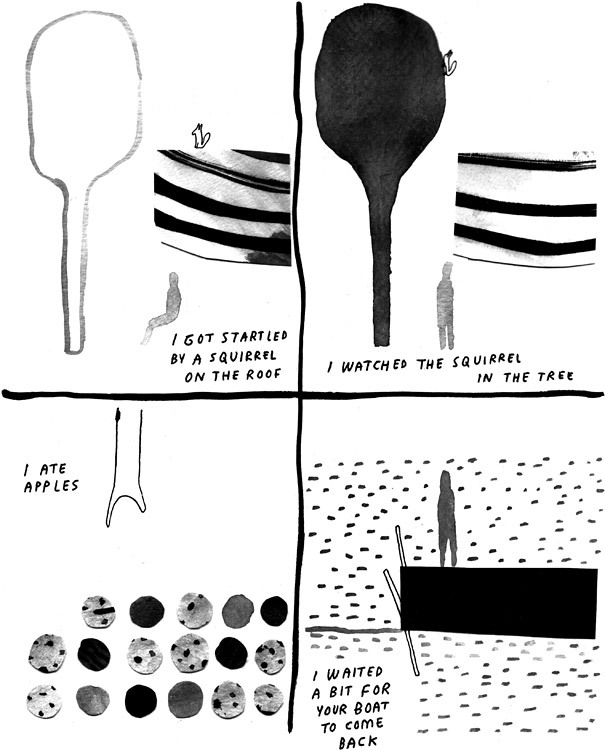 The publications of visual artist and illustrator Rope (born in 1977) include graphic novellettes Monday and Tuesday. Her subtle stories are celebrations of the miracles of everyday life that rely on the power of image rather than words. In the late 1990’s, Rope teamed up with Jussi Karjalainen to publish an anthology called Napa, which proved to be a great influence to many at the time. Nowadays, Rope only does the occasional comic and is more active in the Napa Books publishing house, of which she is one of the two founders. She’s also involved in the operations of the Napa Illustrations illustration agency. Besides Finland, Rope’s comics have been published in the United States, Switzerland, Portugal, and France.